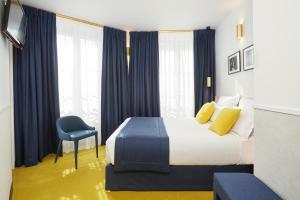 Hotel Edouard VI Montparnasse is located in the Montparnasse district of Paris. 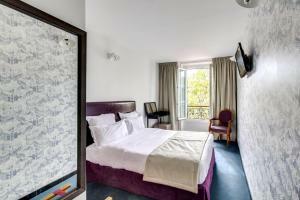 It has air-conditioned rooms equipped with soundproofing, an LCD TV with satellite channels and free WiFi access. Guests of the Edouard VI can enjoy a continental breakfast in the dining room, or in the comfort of your room with an extra cost. 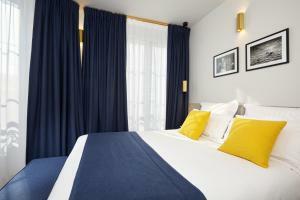 The Edouard VI is located a short walk from Montparnasse-Bienvenüe Metro and train station. Boulevard Saint Germain des Prés, the Luxembourg Garden, and the Montparnasse Tower are all within 1.5 km of the Edouard VI. Public parking is located near the hotel at 155 rue de Rennes. Public parking is also available underneath the Montparnasse Tower. Guests are asked to contact the hotel in case of late arrival. Pre-authorisation on the credit cards is required immediately at the time of reservation. Please note that for non refundable bookings the full amount of the stay will be debited on the day of booking. The credit card used to make the booking as well as personal identification will be requested upon arrival. Guests are required to show a photo identification and credit card upon check-in. Please note that all Special Requests are subject to availability and additional charges may apply. Please inform Edouard 6 Montparnasse in advance of your expected arrival time. You can use the Special Requests box when booking, or contact the property directly with the contact details provided in your confirmation. A minibar and a flat-screen TV with satellite channels are included in this room. 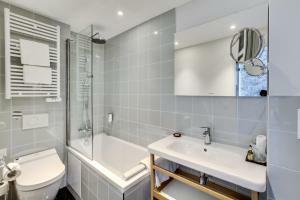 Please specify at the time of booking whether you would prefer a double bed or 2 single beds. 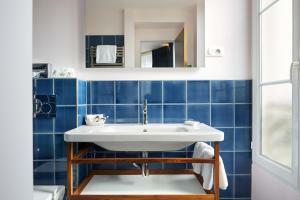 Rate: € 94.00 ... € 245.00; select dates below to get current rates. A minibar and a flat-screen TV with satellite channels are included in this room. It also includes an electric toilet seat with waterspray. 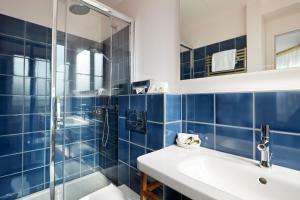 Please specify at the time of booking whether you would prefer a double bed or 2 single beds. 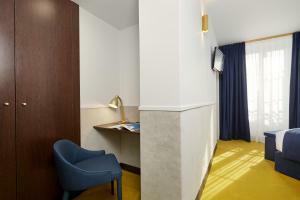 A minibar and a flat-screen TV with satellite channels are included in this room. A large double bed can be arranged as the bed configuration upon request. Rate: € 93.53 ... € 245.00; select dates below to get current rates. 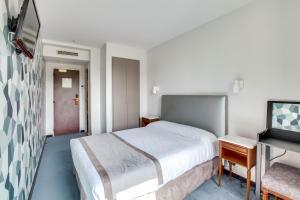 A minibar and a flat-screen TV with satellite channels are included in this larger room. It also includes an electric toilet seat with waterspray. 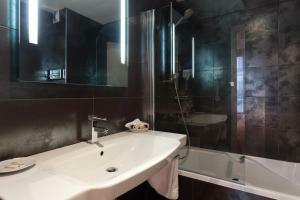 This double room features a minibar, satellite TV and view.